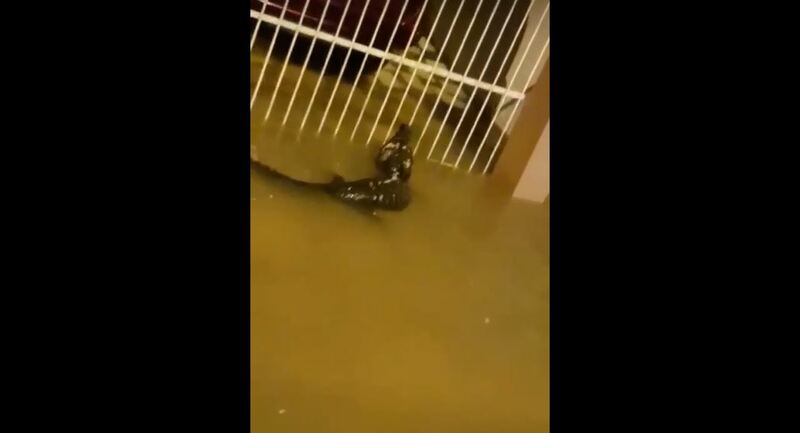 Following heavy rainfall and rising floodwaters in South Trinidad, one curious, furry visitor caused a stir online. 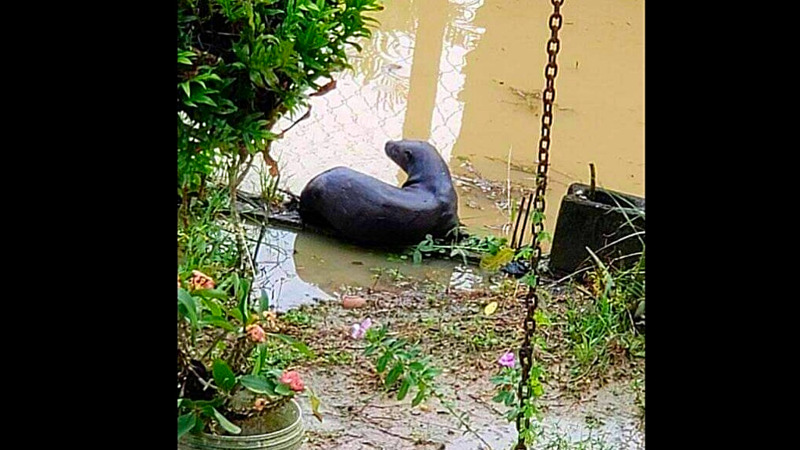 A neotropical river otter was seen resting near Latchoos Road, Penal, Trinidad, according to a social media post, and caused a flurry of interest among Trinbagonians. A representative from the Emperor Valley Zoo said that a team was dispatched to try to retrieve the otter in order to relocate it to safety. River otters are protected by law, and conservationist Kristopher Rattansingh of the Wildlife and Environmental Protection of Trinidad and Tobago (WEPTT) advises that the public simply leave them alone so that they can return to the wild. “Otters are very inquisitive creatures, but if you approach them and they’re startled in any way, they may retaliate and they do have some very sharp teeth,” he said. Rattansingh said river otters spend most of their time in the water, but they do sometimes come ashore to rest, eat or sleep. He said animals who often drift in with rising floodwaters will often leave once the waters have receded. “They may come with the floodwaters and they often leave when the floodwaters recede. The only reason people saw him is because he needed a rest, and once he was rested he was off again,” he said. 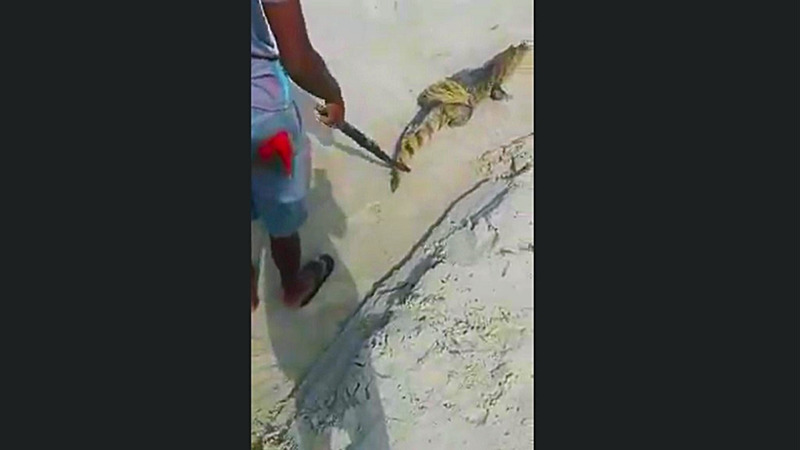 Rattansingh said WEPTT has received a lot of calls about other animals being spotted, including caimans and snakes. “The raised water levels would have forced them out of their homes and they would have moved to higher ground, which means some of them would have moved into inhabited areas." “However they will return to the wild because they don’t like inhabited areas. They wouldn’t want to stay in places where there's no greenery and concrete, that’s not the habitat they want, so they will leave once the water goes down,” he said. Citizens also pleaded for the otter to be left alone and unharmed. "I hope they don't harm the poor thing inno......y'all know how trinis are, everything is a cook!" "Hide him before a human eat him"
"Dear greedy Trini people, please leave the thing alone eh, y'all know everything is a curry for allyuh." "Get him to the zoo fast before they put him in a pot lol you know trini." Augusta Moreau: "Such a blessing. In everything there is something to smile about. Never saw one in Trinidad before. I hope he was put back in the water." 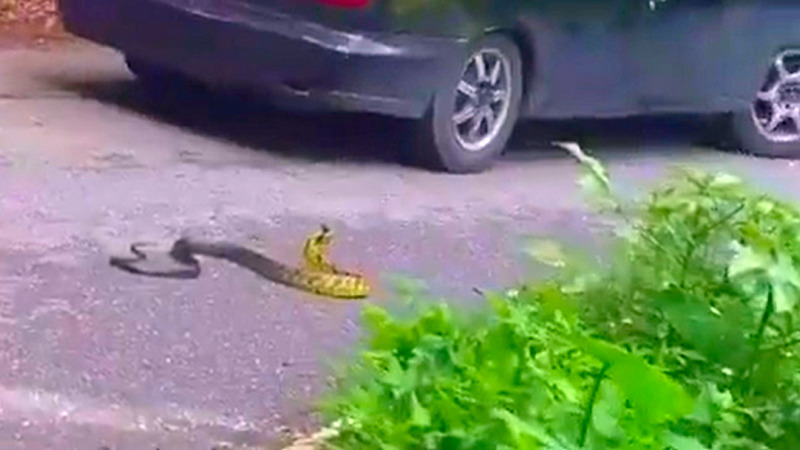 Jeannie Seerattan Mahabir: "Awww call the zoo they will help, please don’t harm him." 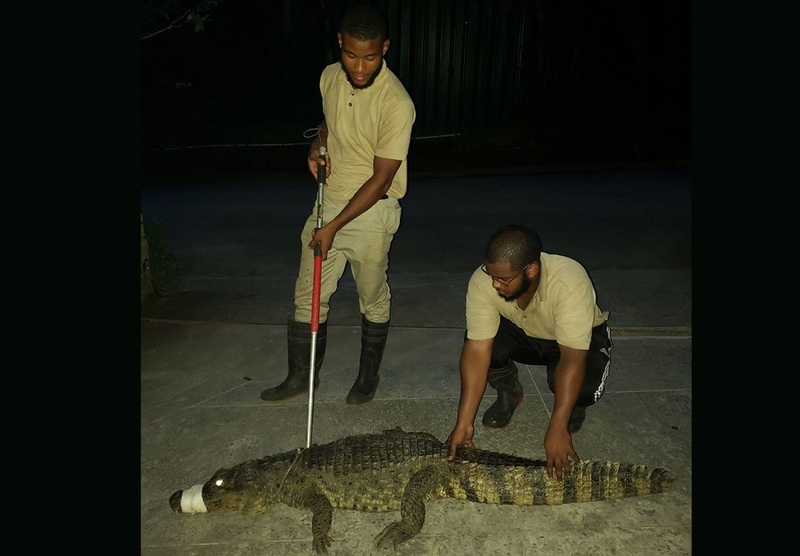 Anyone who wishes to have wildlife removed from their property is urged to contact the Emperor Valley Zoo on 800-4ZOO (4966) or call the WEPT team on 341-9983.